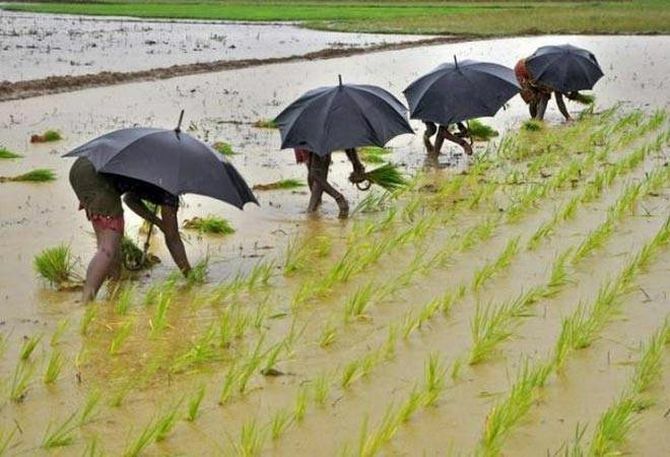 The retreat of the southwest monsoon might be delayed this year, for the third year in the row, because of a lot of moisture in the air in west Rajasthan, where the withdrawal begins, said Met official. A fresh low-pressure area is developing over the Bay of Bengal. This might also cause rain over north India, if its moves along the monsoon trough. “At least for the next 3-4 days, the monsoon withdrawal might not start from the western part of Rajasthan, as there is considerable moisture in the atmosphere there, though it might not be raining. Also, there is a possibility of rain in the north,” said D S Pai, director of long-range forecast, India Meteorological Department (IMD). He said though the delay might be beneficial for the coming rabi sowing season, as the soil would retain the moisture, more rain over north India in the next few days might adversely affect the standing kharif crop, which is ready to be harvested. The Central Water Commission (CWC) has issued heavy to very heavy rain alerts for some districts of Uttarakhand and western Uttar Pradesh, including Ghaziabad and Balrampur. Usually, southwest monsoon starts withdrawing from September 1, from the farthest part of west Rajasthan. The process is usually complete by end-October, but for the past few years, the process has been delayed. Withdrawal signals the end of the four-month-long monsoon that starts from June. “I feel the monsoon will start withdrawing from September 10-12 this year,” said IMD director general K J Ramesh. “In the days to come, humidity levels would go down and monsoon withdrawal will start,” Mahesh Palawat, chief meteorologist at private weather forecasting agency, Skymet, said. Till now, southwest monsoon has been around 6 per cent deficient. There is little chance of this being reversed. The rains have been fairly normal in 26 out of the 36 meteorological subdivisions and deficient in the remaining 10, including west Rajasthan, Saurashtra and Kutch, Jharkhand, north interior Karnataka, and Rayalseema. Sowing of kharif crops concluded with less than 1 per cent drop in acreage, as compared to last year, which was a record. The water levels in 91 major reservoirs across the country were 134 per cent more than last year and 114 per cent more than the 10-year average. “On a cumulative basis, the southwest monsoon has been fairly normal this year. It has been well-distributed, as has been predicted by IMD in its April forecast. "The water level in reservoirs and the acreage of kharif crops is a testimony to that,” Ramesh said. Among major crops, the area under rice was 0.57 per cent more than last year, pulses was 2.55 per cent less than last year, coarse cereals were 3.85 per cent less, oilseeds were about 2.51 per cent more than last year.